Mayen Pajok village, Warrab state, Southern Sudan.\n1500 people are staying in Mayen Pajok DP's (Internal Displaced People) camp. They all left Abyei city and its region because of the fightings between the SPLA (Sudan's People Liberation Army) ans the SAF (Sudan Armed Forces). 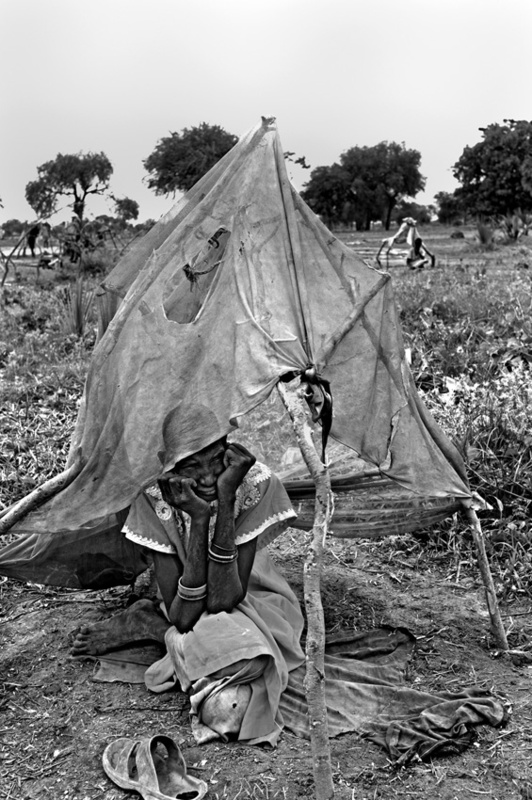 Alei Dyng has lost all her family during the escape of Abyei city. She has no news from them. She has heard from a neighbour about the death of two children but not confrimed yet.